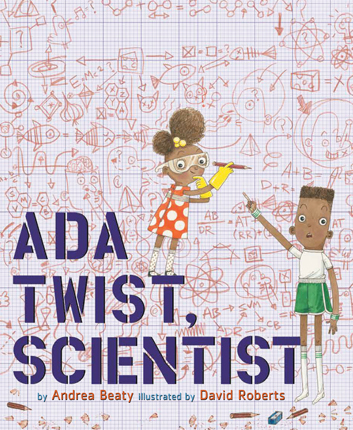 School Library Journal - 10/01/2016 K-Gr 2—Ada Marie Twist is an inquisitive African American second grader and a born scientist. She possesses a keen yet peculiar need to question everything she encounters, whether it be a tick-tocking clock, a pointy-stemmed rose, or the hairs in her dad's nose. Ada's parents and her teacher, Miss Greer, have their hands full as the child's science experiments wreak day-to-day havoc. On the first day of spring, the title character is tinkering outside her home when she notices an unpleasant odor. She sets out to discover what might have caused it. Beaty shows Ada using the scientific method in developing hypotheses in her smelly pursuit. The little girl demonstrates trial and error in her endeavors, while appreciating her family's full support. In one experiment, she douses fragrances on her cat and then attempts to place the feline in the washing machine. Her parents, startled by her actions, send her to the Thinking Chair, where she starts to reflect on the art of questioning by writing her thoughts on the wall—now the Great Thinking Hall. 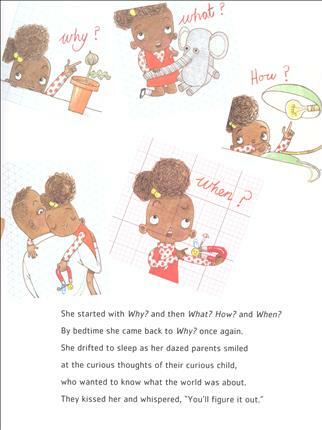 Ada shines on each page as a young scientist, like her cohorts in the author's charming series. The rhyming text playfully complements the cartoon illustrations, drawing readers into the narrative. VERDICT A winner for storytime reading and for young children interested in STEM activities. Pair with science nonfiction for an interesting elementary cross-curricular project.—Krista Welz, North Bergen High School, NJ - Copyright 2016 Publishers Weekly, Library Journal and/or School Library Journal used with permission. Booklist - 11/01/2016 The team behind Iggy Peck, Architect (2007) and Rosie Revere, Engineer (2013) introduce a new STEM picture-book heroine. Ada Marie Twist is an African American girl who does not speak until the age of three. But once she does, she starts with “Why? And then What? How? and When? / By bedtime she came back to Why? once again.” Ada Twist’s curiosity is insatiable, often involving more chaos than method. A particularly bad smell sets Ada off on a journey of discovery that puts her at odds with her parents, though eagle-eyed readers will discover the source of the stink. The pen-and-ink illustrations incorporate a mishmash of white space and the paraphernalia of scientific experimentation: blocks, beakers, graph paper, gadgets; at times the pages can barely contain the breadth of Ada’s inquisitiveness. An author’s note reveals that the heroine is named after trailblazing women scientists Marie Curie and Ada Lovelace. Young Ada Twist and her nonstop intellect might just encourage readers to blaze trails of their own. - Copyright 2016 Booklist.